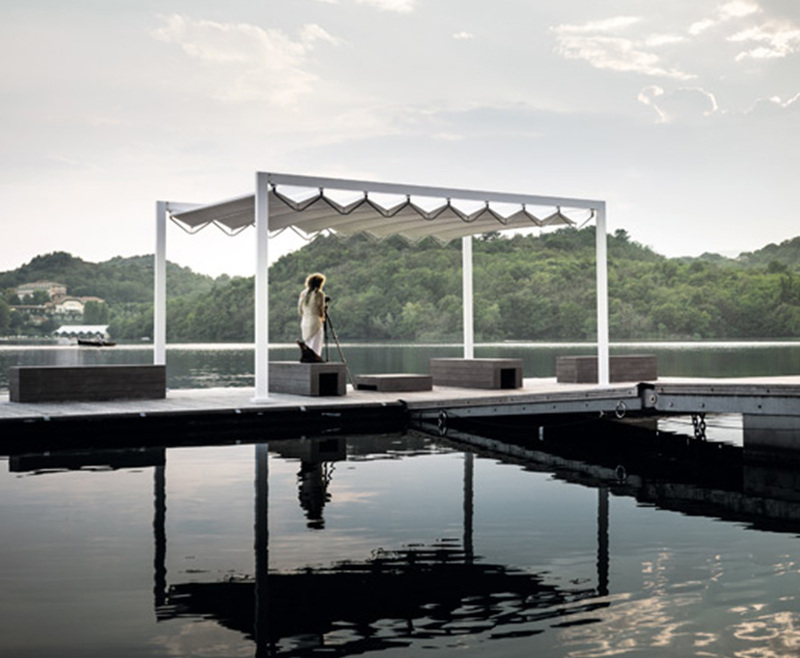 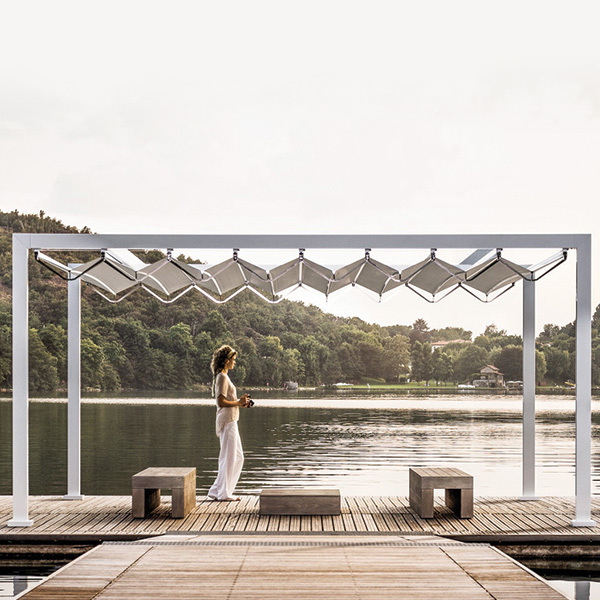 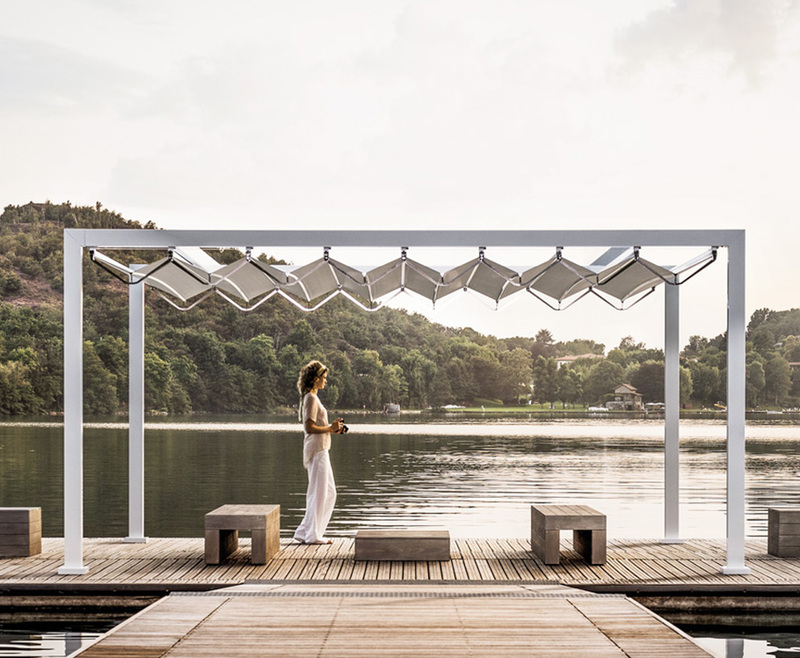 The Isola Open Fly island is a free-standing solution characterized by a unobtrusive and open support structure in painted aluminum and stainless steel joined with a sharp edge, which brings out the overall design of the product. 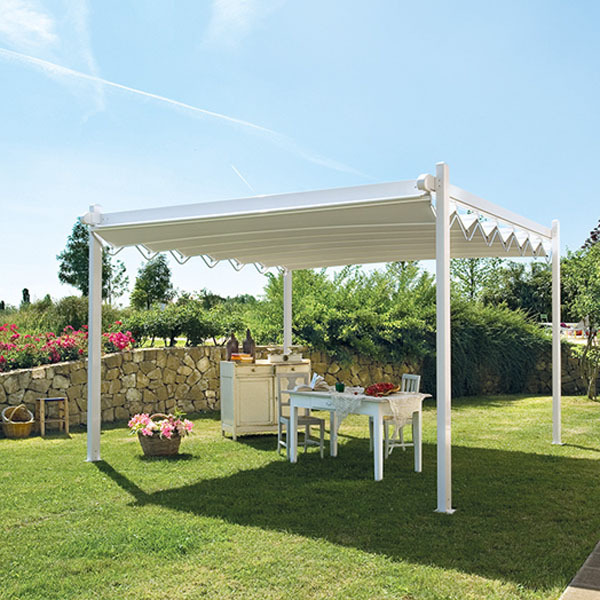 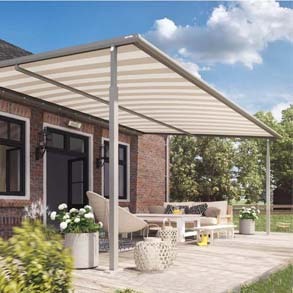 The cover is made with an anti-UV blockout PVC cloth inserted into a support and stretching system that permits opening by means of a patented mechanism of polished stainless steel lateral pantographs. 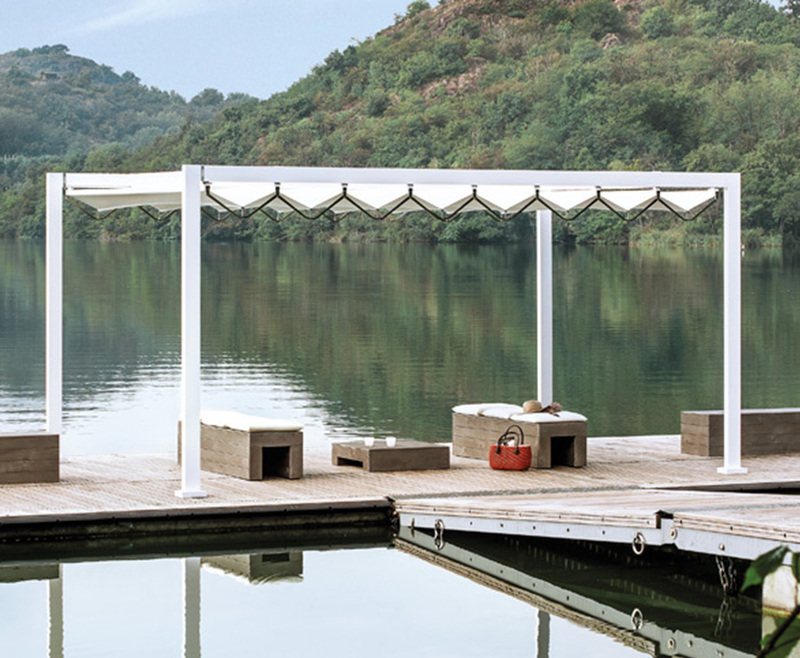 The original arched cloth permits lateral water drainage without any inclination of the structure. 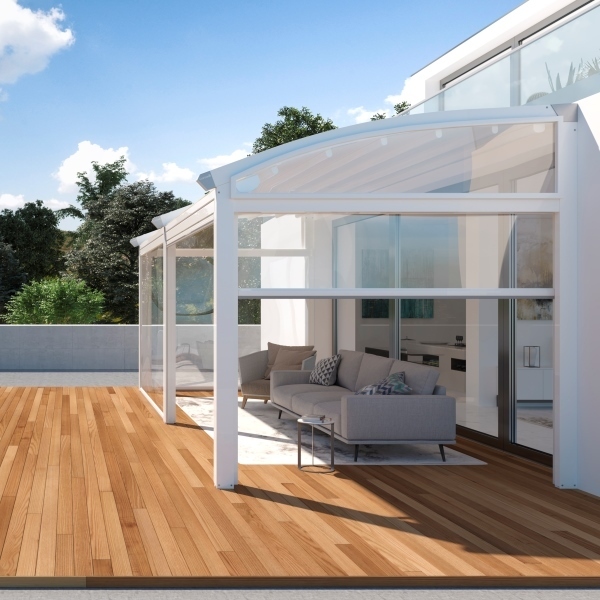 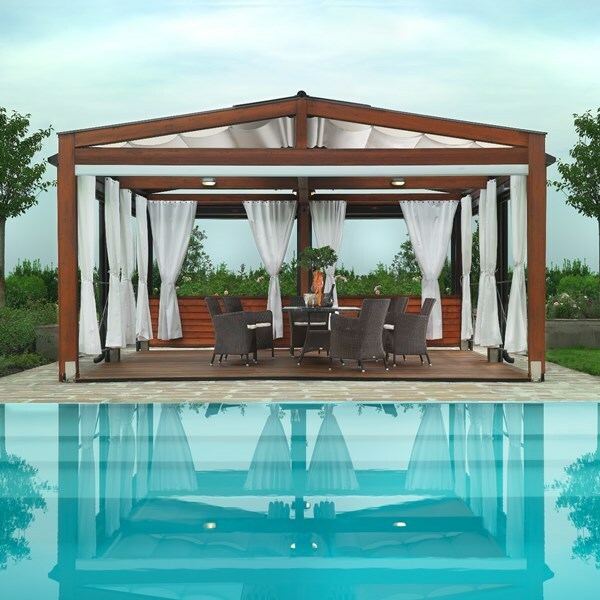 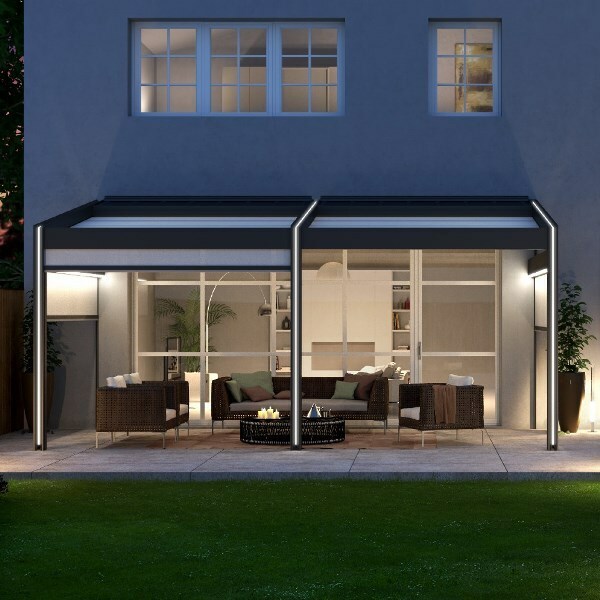 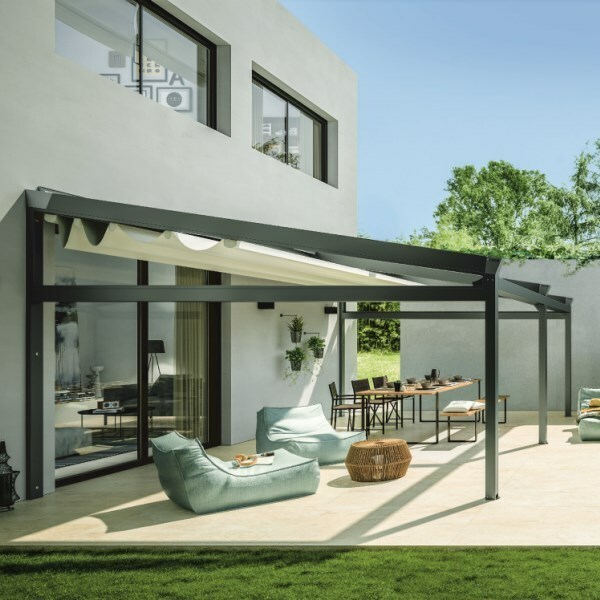 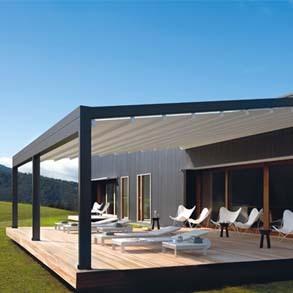 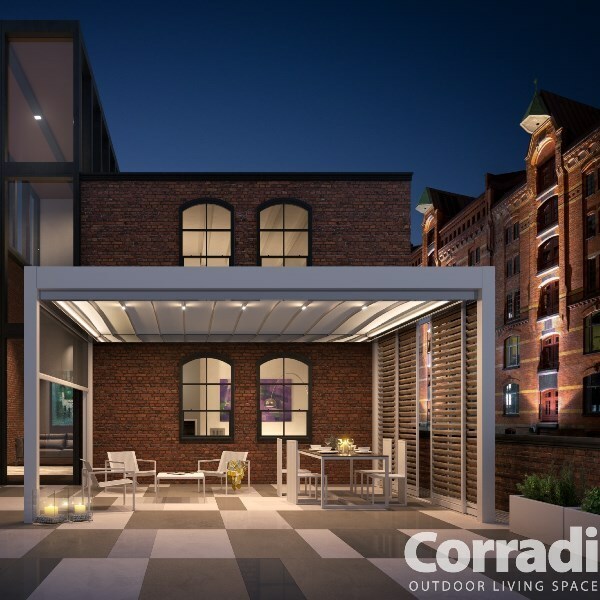 The blockout PVC technology provides protection from harmful sun radiation and blocks out heat, keeping the air cool in the shaded area. 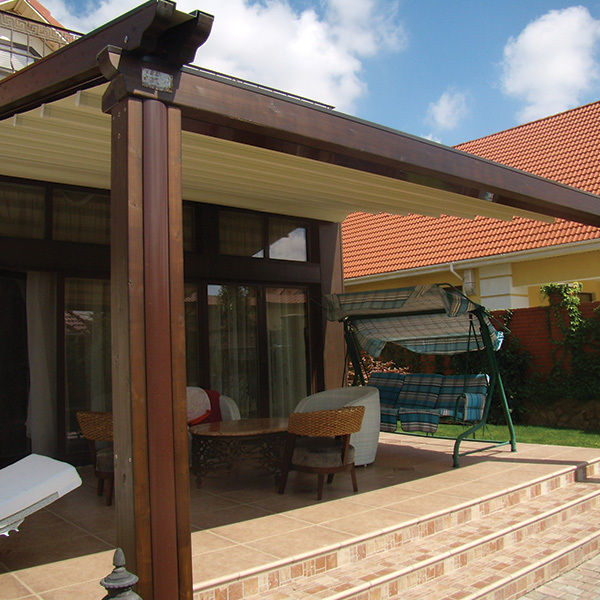 Movement is transmitted on lateral guides with a high-resistance timing belt. 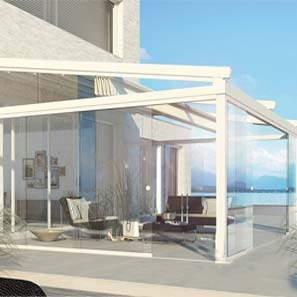 It can be operated manually by crank or by the motorized SOMFY® system with standard activation, RTS remote control. 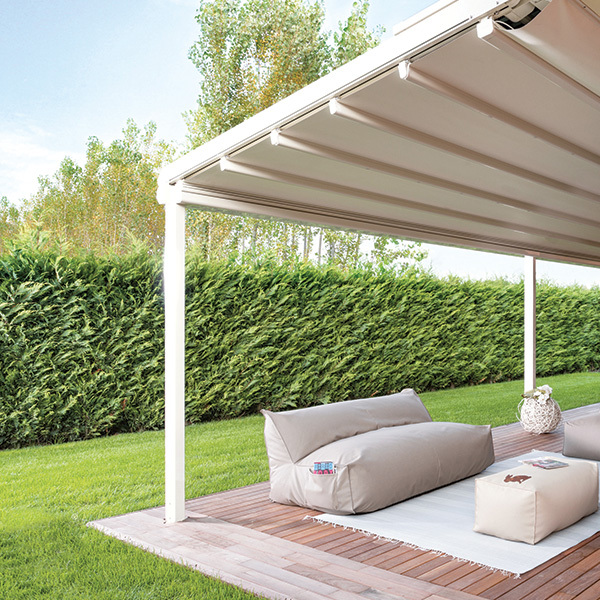 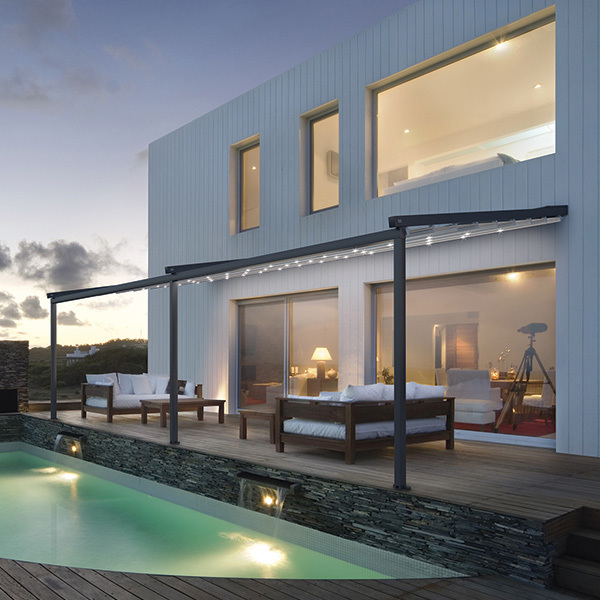 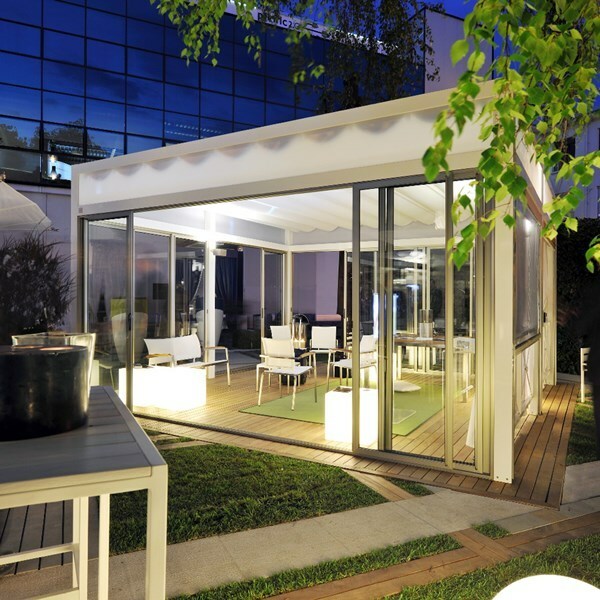 Maximum size of 4m x 5.3m, with larger spaces being covered with multiple coupled modules.